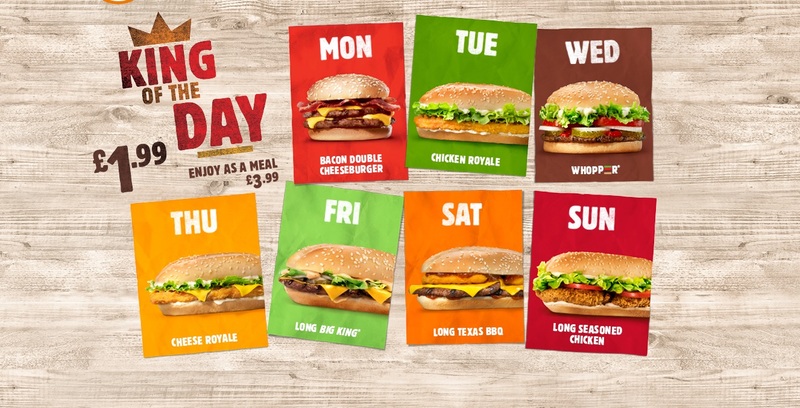 King of the Day - Burger King UK - What is the King of the Day at BK? 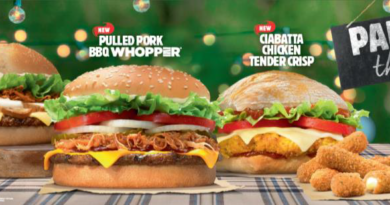 Burger King fans can rejoice as the fast food chain have brought back King of the Day! 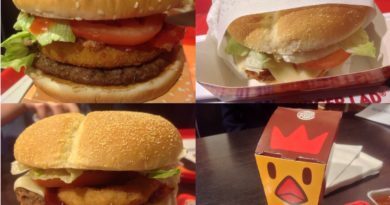 If you are looking for information on Burger King UK’s King of the Day promotion/deal you have come to the right place! Thursday Cheese Royale 1.99 3.99 ?? Sunday Long Seasoned Chicken 1.99 3.99 ?? Please note – the calorie information in the table above is for the burger/sandwich only. 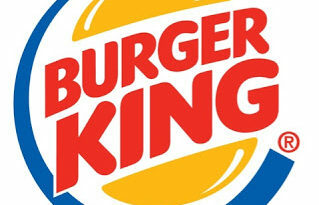 BK used to offer King of the Day but in recent years it has not been available – but now it is back! The promotion runs alongside other existing offers such as King Savers and King Box Meals. Each day of the week, customers can grab one of their favourites such as the Bacon Double Cheeseburger, Long Big King or Long Texas BBQ for £1.99 or £3.99 as a meal. And it’s no coincidence that BK’s flagship burger the Whopper is on a Wednesday – Whopper Wednesday anyone!? What do you think of the choices at Burger King on each of the days? Are you pleased to see the promo/deal re-launched? Which of the different burgers is your favourite? If you have the BK app then you can get some of the offers, or similar ones, any day (app codes are single use but are frequently reloaded). I went to London Marylebone station Burger King branch to buy King of the day, but rejected saying promotion stopped yesterday. Couldn’t believe this as last week I still buy it. Also few months ago they stop your promotion voucher printed on Metro suddenly, same thing when I use voucher the week before. Seemed this branch need to be regulated and not acting King themselves as they like.